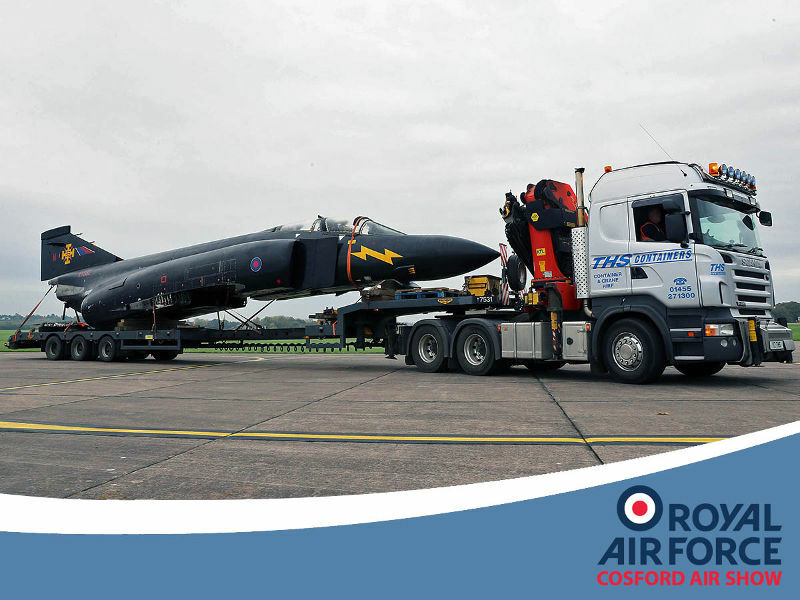 Following last week’s launch of the RAF Cosford Air Show 2018, a cold-war era F-4 Phantom aircraft, known as ‘Black Mike’, was delivered by road to the airfield, in preparation for the Air Show on Sunday 10th June 2018. The F-4 Phantom II was operated by the Royal Air Force between 1969 and 1992, principally as an air defence fighter. Although the jet was an American design, produced by McDonnell Douglas, the UK’s Phantoms were a special batch built separately and containing a significant amount of British technology including the addition of Rolls-Royce Spey engines. Of all the UK’s Phantoms, the airframe which arrived today at RAF Cosford is perhaps one of the most iconic, known as ‘Black Mike’ due to its unique paint scheme applied by 111(F) Squadron in the late 1980s. Tickets for the Air Show, which is promising to be a spectacular and interactive tribute to the Royal Air Force’s centenary, are already on sale via the event’s website. Tickets will again only be available in advance, and are priced £25.00 per adult, with accompanied under-16s attending the Air Show for free, presenting excellent value for money. Another aircraft spending a short period of time in the Conservation Centre is the Hawker Siddeley Gnat T1 – the first aircraft used by the RAF Red Arrows, superseded by the current aircraft, the Hawk in 1979. The aircraft was previously on public display at Cosford and is destined to move to the Museum’s London site before the end of the year. The Open Week in November is a last chance for Red Arrow fans to see the aircraft in the West Midlands. 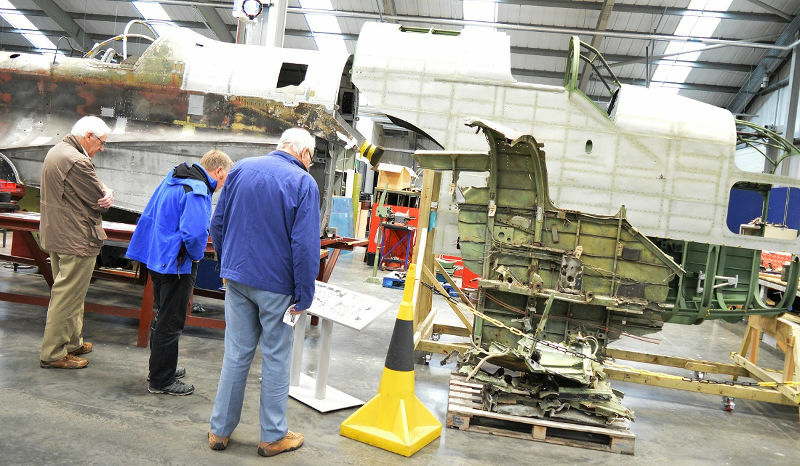 As the aircraft is being prepared for transportation by road, it is also a chance to see it in a partial stripped condition. PLUS…in addition to the open week, visitors will also have the exciting opportunity to climb on board the Hawker Siddeley Nimrod R.1 XV249 during daily tours running from 13-18 November. Tickets are available to purchase online via the Museums website http://www.rafmuseum.org/cosfordor on the day, subject to availability. 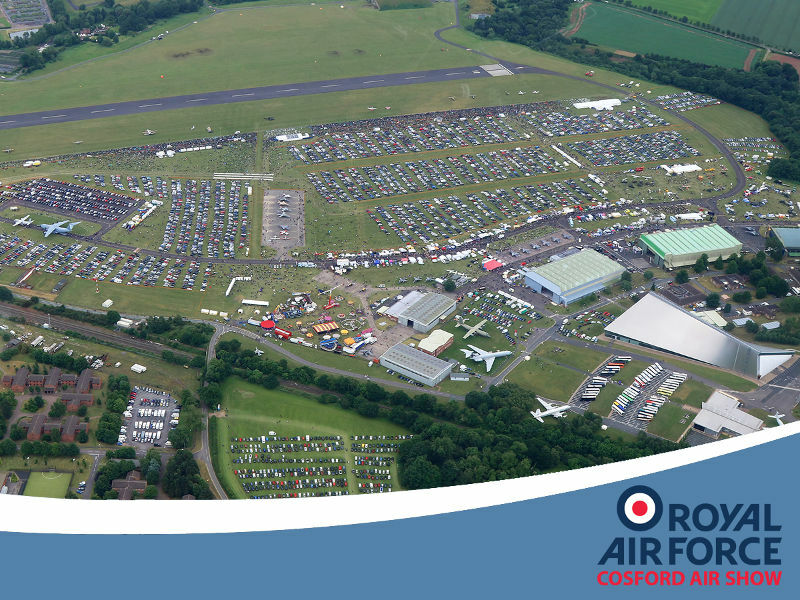 Tickets for the Air Show have gone on sale, with organisers holding the price at £25.00 despite increasing costs, with the emphasis being put on providing great value for money for visitors, something reinforced for families as accompanied under-16s can attend the Air Show for free.